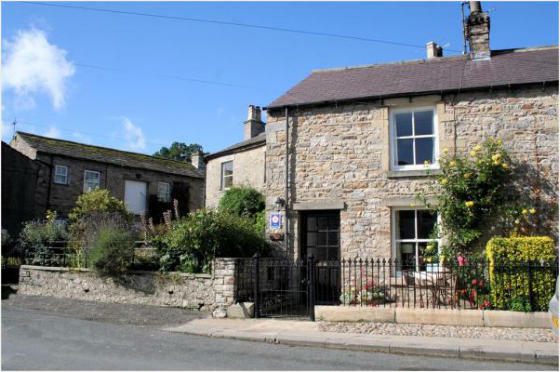 On the fringe of the village green, just before the road narrows into the Back Nook, stands Jesmond Cottage one of the many traditional stoneworked cottages that has been recently renovated. Jesmond Cottage is a property of roomy proportions providing all modern comforts. The main access is through a small stone flagged patio garden with a bench seat to sit and enjoy social games and encounters on the green. The entrance opens into a cosy lounge with beamed ceiling, open fireplace and decorative stone alcoves. Off the lounge is a well-equipped kitchen with dining area, which in turn gives access to the rear flagged patio. The patio can also be reached through a gated lane that leads from the village green a few yards away. A stairway with pine balustrade rises from the lounge to two bedrooms, one large room with double and single bed and the other with a single bed. There is also a bathroom with bath, showerhead, washbasin and toilet. For further information visit Country Hideaways. W S Hartle Family Butchers West Burton Excellent Meat at Excellent Prices!